The Trendy Sparrow: Facebook Fan Friday! Hey everyone! I wanted to make today "Facebook Fan Friday!". 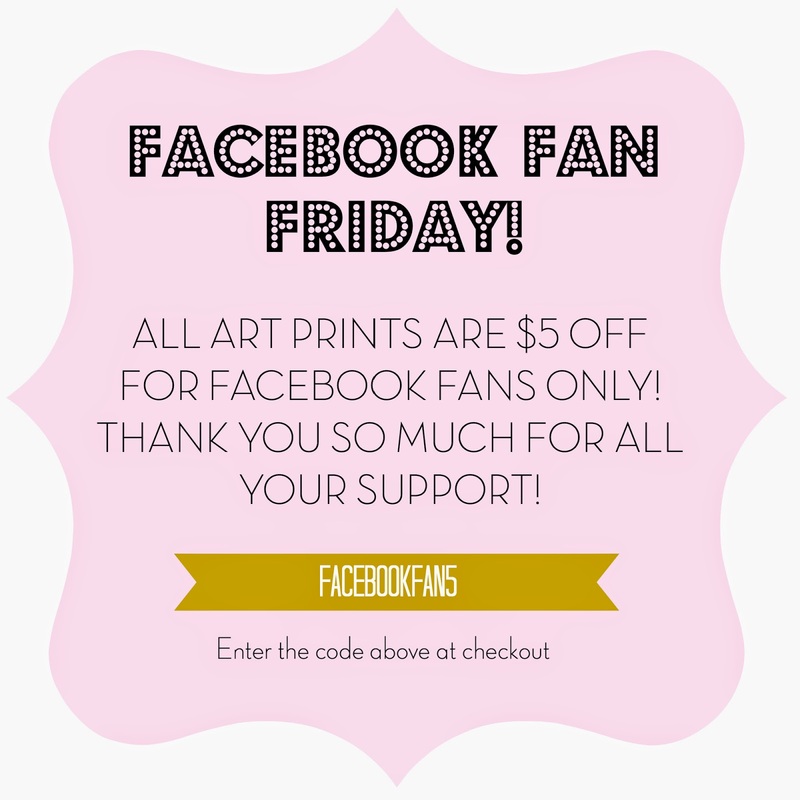 I appreciate all the support you all have for my store, and I wanted to reward everyone with $5 off all art prints using code FACEBOOKFAN5! But hurry, this code only lasts for today! Go "like" my Facebook page for more exclusive coupons and sales!